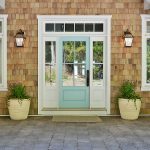 When I first laid eyes on that turquoise front door, I knew I was in for a treat! 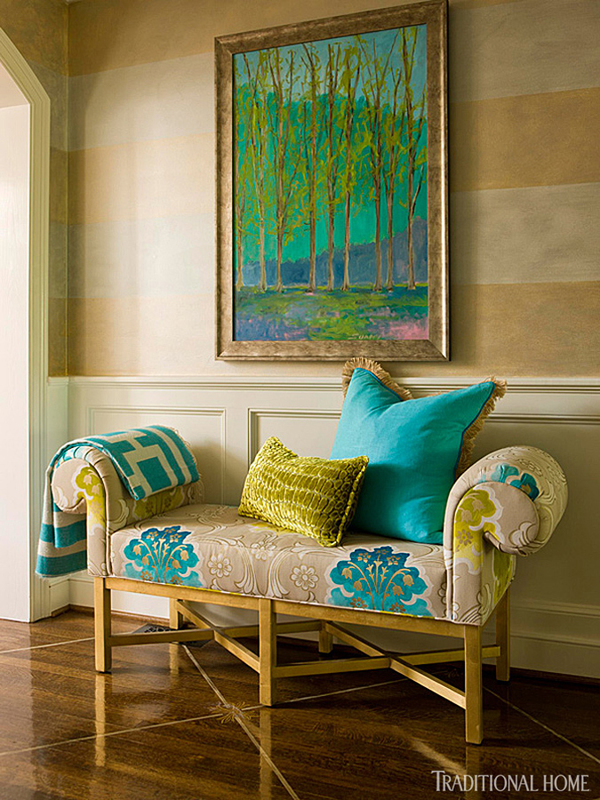 This 1930’s Richmond, Virginia home designed by Kat Liebschwager Interiors and photographed by Gordon Beall is colorful, fun and sophisticated–a reflection of color-loving homeowners with one fantastic art collection! 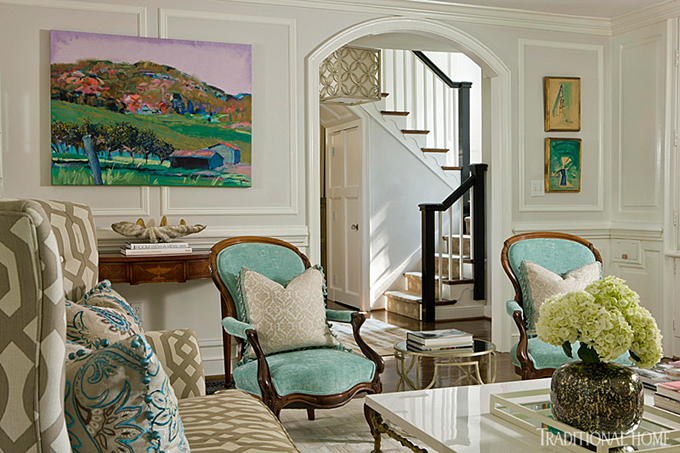 It was actually the large painting in the back porch that inspired the cheery color palette and the turquoise woven throughout. 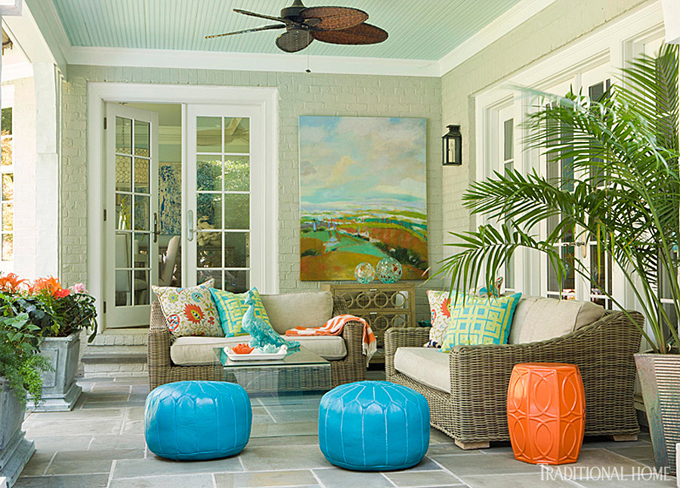 I think the that porch might be my favorite space in the home…it’s so relaxed and fun! 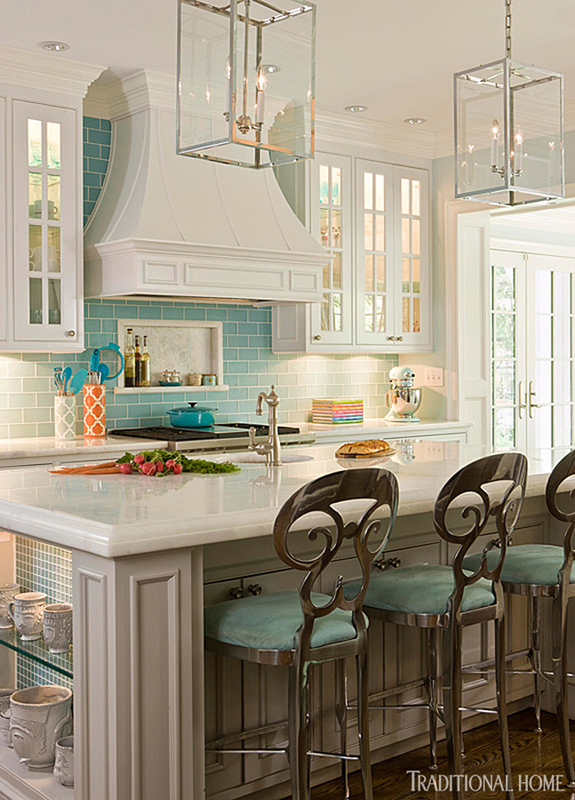 That kitchen though…sigh! 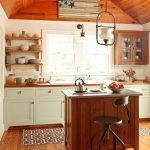 To read all about the home, get sources and see ‘before’ shots, visit Traditional Home! This might be my favorite post to date! 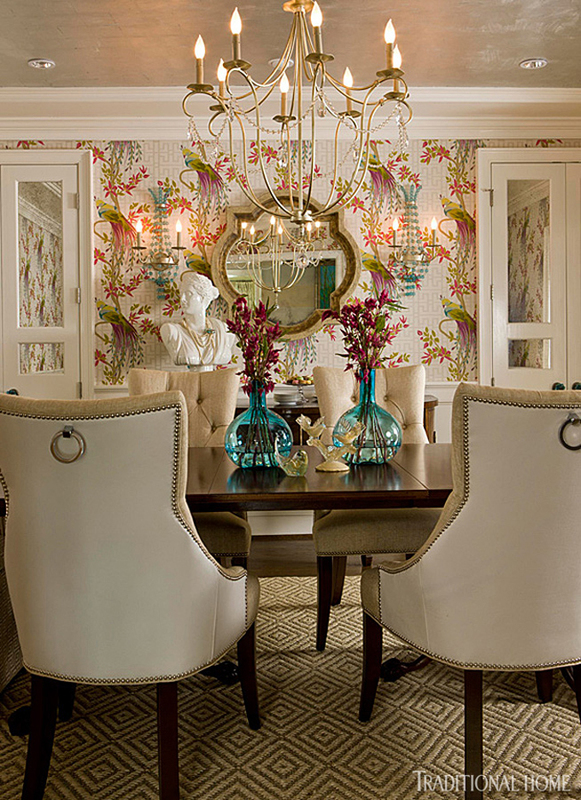 The colors and fabrics are scrumptious and those hand-painted floors are amazing. Plus, I love that it's in RVA — the place I call home. I must find a way to get an invitation to this gorgeous house! It is gorgeous! I think it was on Garden Week Tour last year. 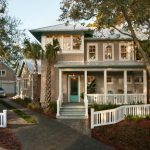 Wow-years ago we lived in a very similar Tudor (built in 1929) in Baltimore. I loved the "bones" of the house, but it felt so dark and old. I wish I would have done something like this with it! Beautiful. The photo of the exterior is my favorite! 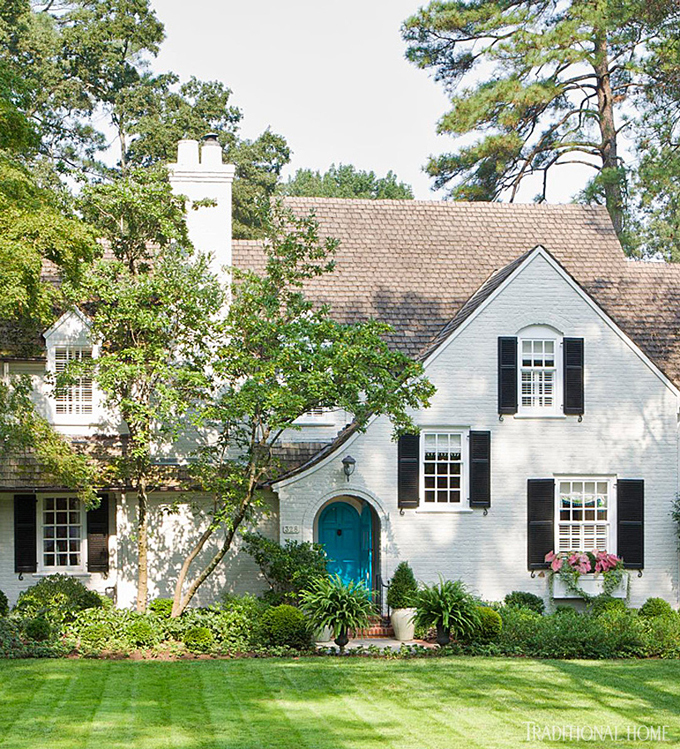 Love the white brick, black shutters , roof lines – all very lovely! I was born in the wrong era. I love everything from this period. 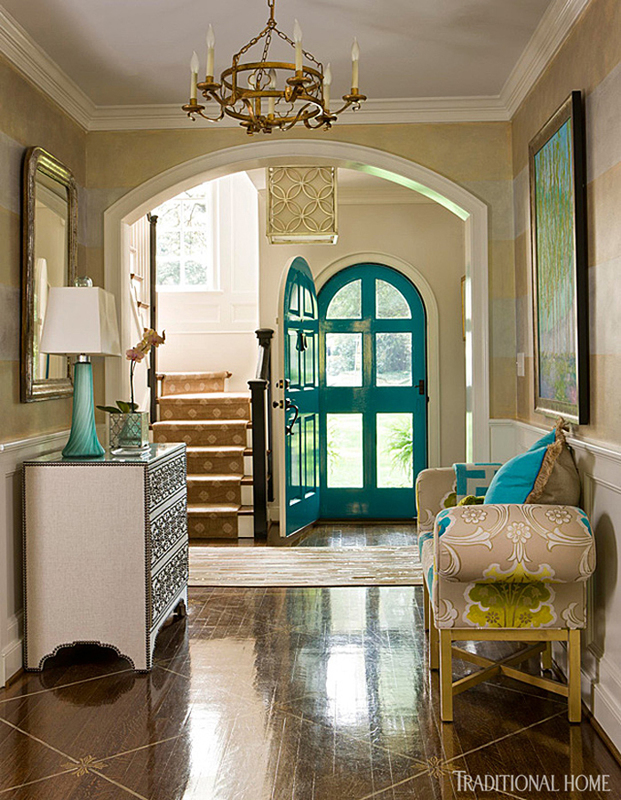 Look at that foyer floor – stunning. Ruth & Ollie (the store Kat and her husband own) is one of my favorite home stores! 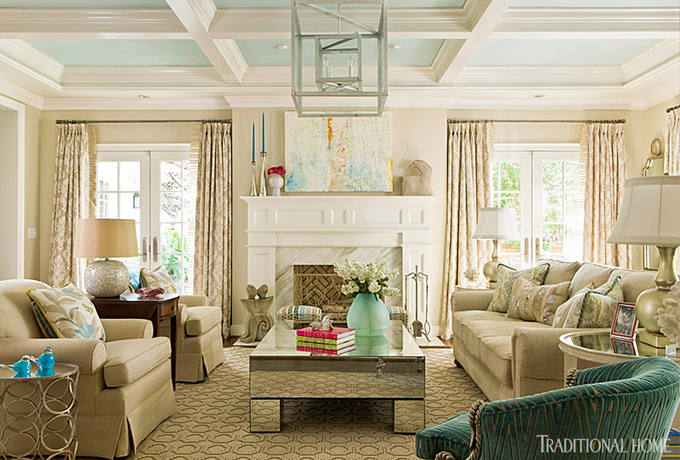 I'm was so happy to see her work in Trad Home and now on HoT! 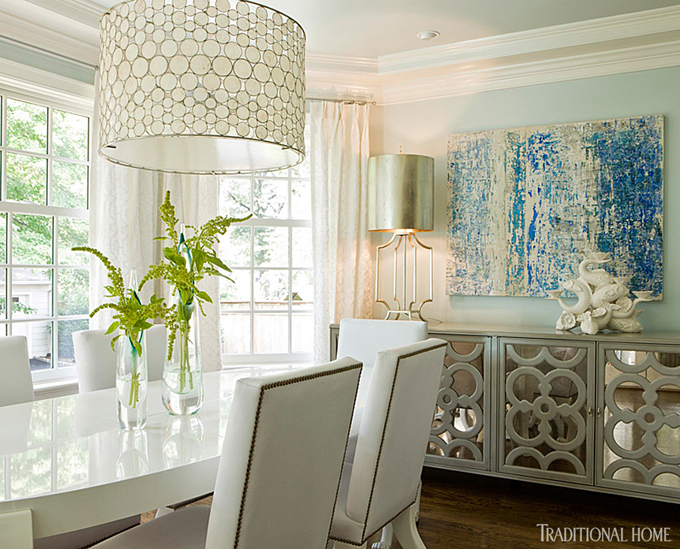 Where did you find those bar stools??? I am in love!!! 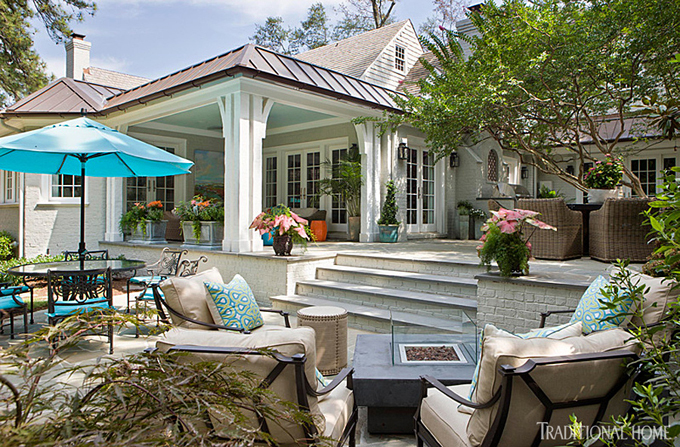 Gorgeous – and that outdoor area is perfection!